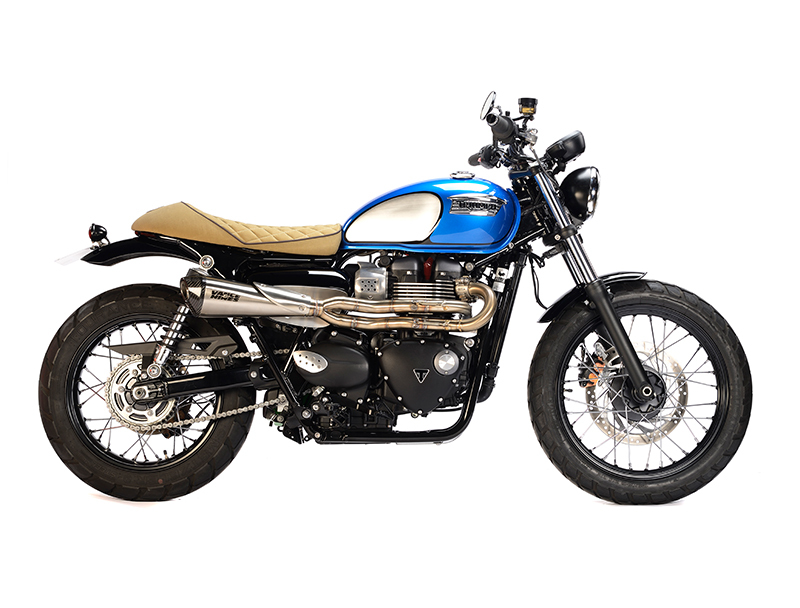 I like Triumphs! 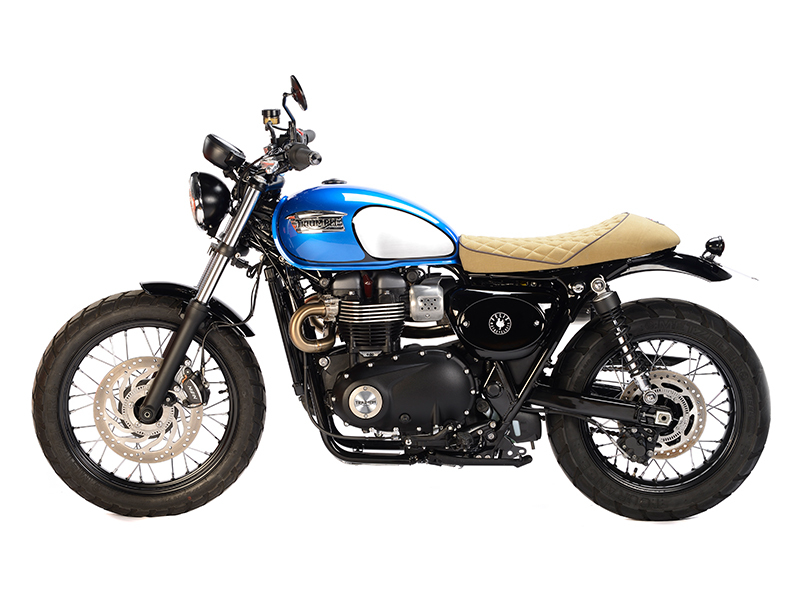 And in particular the latest versions of the Bonneville, which have the lines and charm of original one while offering the riding pleasure of a latest generation bike. 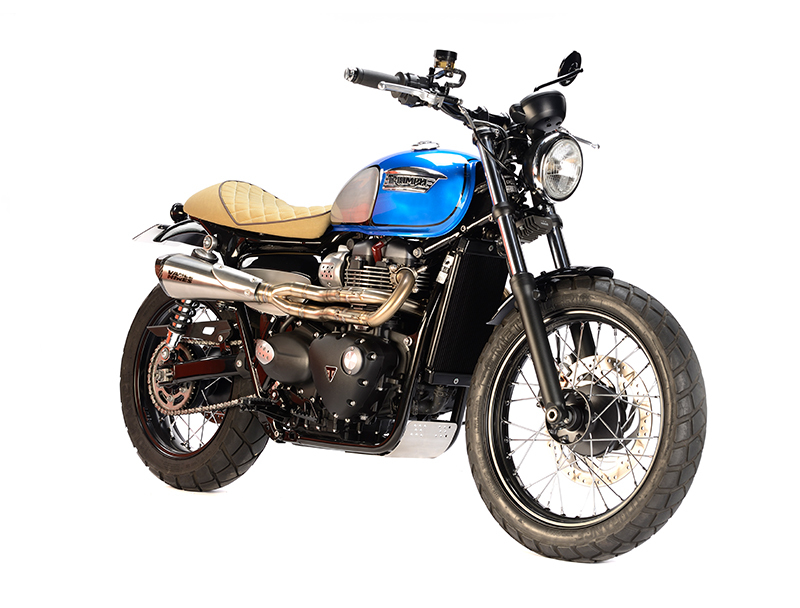 The opportunity presented itself to recover a slightly damaged 900 Street Scrambler from 2017, but which the owner wanted to part with. An almost new bike that could have been resold as is, but - inevitably - the temptation to make it a unique machine was too strong! 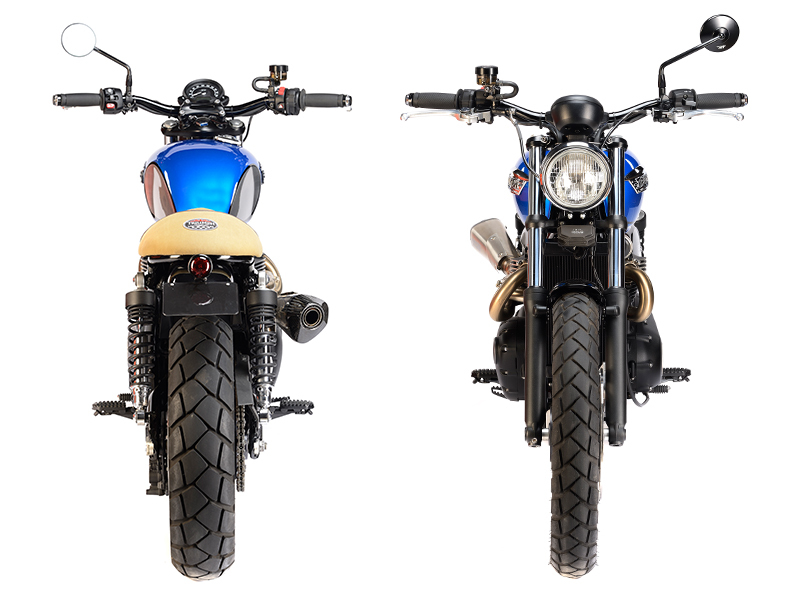 For this particular job, the objective was to keep the Street Scrambler spirit while pushing it a little further forward by lightening his overall silhouette as much as possible to make it a more compact machine. This was achieved by adopting a single-seat with a shorter rear frame loop. However, as we had the original two-up seat, we thought it would be a shame to definitively sacrifice the duo ridings. With Patrick, we decided that we had to find a solution to keep the choice between the single-seat and two-up seat while keeping the original fixing. Kind of a bet that we like to settle down, just to make this preparation a little more difficult! A bet taken up by a modification of the frame under the seat whose diameter has been increased in order to receive two different rear frame buckles. The short one made by us or the original long one, simply by sliding and bolting them. The other main technical modification of importance on our Bonneville is the adaptation of a Vance & Hinse line in free version whose catalyst has been removed. A shorter line in accordance with the new rear frame, but also more fluid by keeping only the two collector tubes. 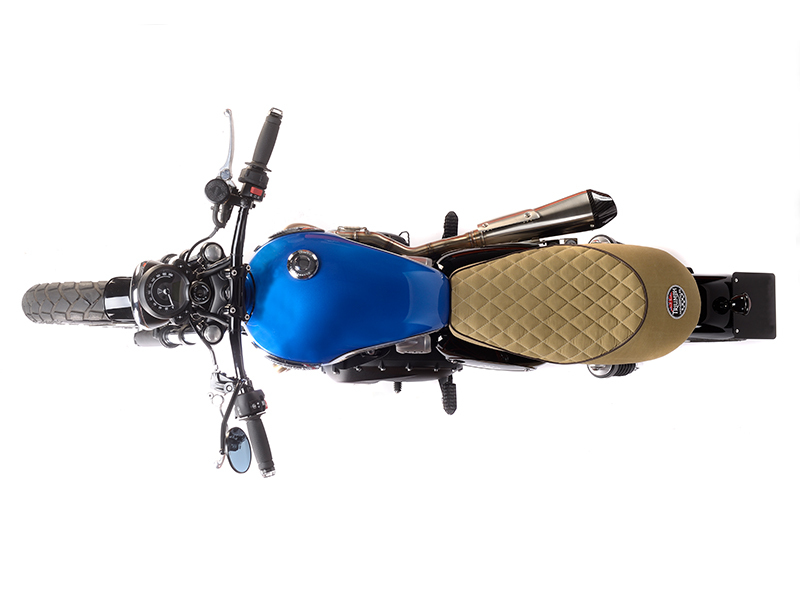 For the rest, the original mudguards give way to more minimalist black elements, the wide curved handlebar is replaced by a lower, flatter model that receives a pair of Motogadget turn signals, while the headlight unit is replaced by a Van Van one. 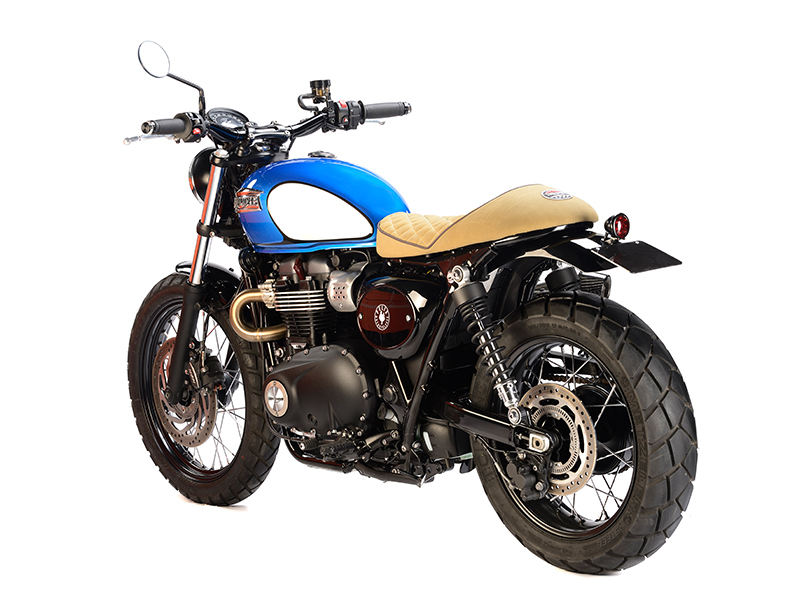 The new silhouette of our Bonneville is taking shape and all we have to do is add the final touch to give it its personality and originality.